The Triangular Fibrocartilage Complex (TFCC) is a group of ligaments and cartilage on the ulnar side of the hand. 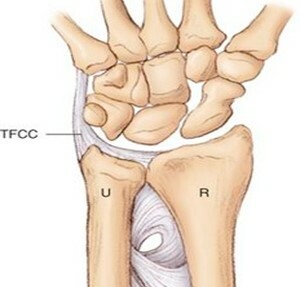 The TFCC ligaments attach the cartilage to the small wrist bones which also suspend the ends of the two forearm bones, the ulna and the radius. 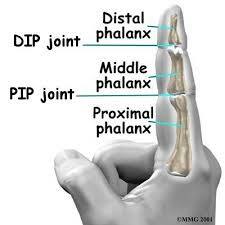 The distal interphalangeal (DIP) joint is actually the most common location on the body for osteoarthritis (OA). In fact, according to a study evaluating the frequency of hand arthritis, OA at the DIP joint occurs in approximately 58% of individuals age 60 years and older. Family history, age, a history of heavy manual labor, joint laxity, smoking, and increased weight are all identified as contributors to this disease.The symptoms of OA at the DIP joint commonly include pain and changes to the size and shape of the joint. The CMCcare Thumb Brace by Basko Healthcare contours around the first metacarpal to stabilize the CMC joint and restore proper alignment of the thumb for improved function and pain-free motion. The careful design eliminates pressure in the web space and leaves the ulnar border of the hand free for function. Clients with lateral epicondylitis (also known as tennis elbow) consistently appear on my schedule. As therapists, we know that swinging the tennis racket is not the only possible cause of this diagnosis. 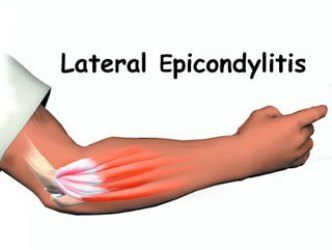 Lateral epicondylitis is due to a degenerative process at the poorly vascularized origin of the wrist extensors on the boney prominence at the lateral elbow. It is often contributed to over use of the wrist extensors. Individuals with this diagnosis often describe pain at the lateral elbow that is persistent, very uncomfortable and limiting. Even though Spring is officially around the corner, many parts of the country are still experiencing winter storms. 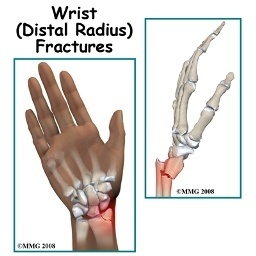 Snowy and icy conditions often lead to wrist fractures caused by a fall on an outstretched hand (FOOSH). There are a few tricks to the trade to effectively rehab these mishaps. 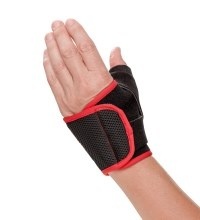 The 3pp Wrist Wrap and the 3pp Wrist POP are examples of supports that can help individuals recover from wrist pain related to strains and sprains, post-operative, or post casting after a FOOSH. Osteoarthritis (OA) at the base of the thumb is a common diagnosis among older individuals. Research suggests that 26.2% of women and 13.4 % of men age 71-100 years old have symptoms of this diagnosis and that approximately 70% of community dwelling individuals with hand pain have OA at the base of the thumb as well. An orthosis is a common intervention used in hand therapy to treat symptoms of this diagnosis. 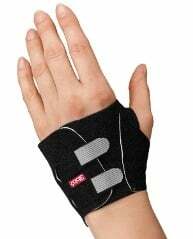 Studies have consistently found that using an orthosis helps to decrease pain and improve function for individuals with arthritis at the base of the thumb. Osteoarthritis (OA), or the degeneration of a joint, commonly occurs at the base of the thumb. OA at this joint is diagnosed with conventional radiographs (x-rays), but often can be recognized based on symptoms. Symptoms occur predominantly with pain at the base of the thumb, especially when performing tasks that require a pinch (i.e. pulling on socks). Collapse deformities of the thumb are all too common in the presence of CMC joint arthritis. The Nalebuff Type III or “intrinsic minus” thumb deformity evidenced by CMC flexion, MP extension or hyperextension and IP flexion is the most common deformity. This becomes a highly dysfunctional posture over time due to the loss of MCP flexion, web space shortening and thenar muscle atrophy - making moving the thumb away from the palm all but impossible.